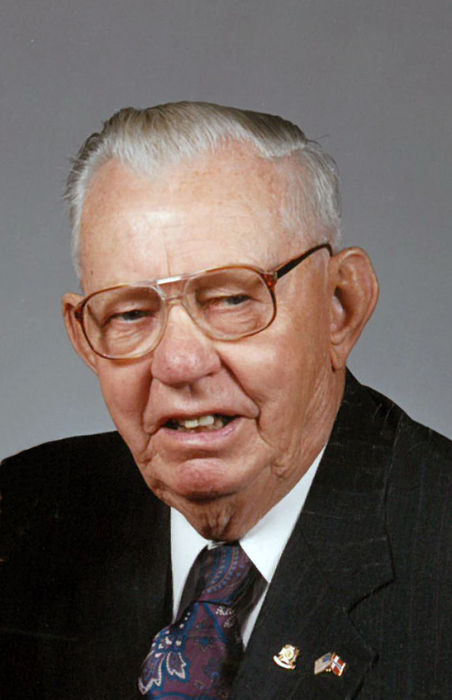 Obituary for Reuben Johnsrud | Hanson & Dahl Funeral Home, Inc.
Reuben Johnsrud died Sunday, October 7, 2018 at the Johnson Memorial Care Center in Dawson at the age of 96. Funeral services will be held on Thursday, October 11, 2018 at 10:30 AM at Grace Lutheran Church in Dawson with Rev. Kendall Stelter officiating. Burial will be in Grace Lutheran Cemetery. Reuben James Johnsrud was born in Montevideo on October 9, 1921 to Martinius and Martha (Hveem) Johnsrud. He was baptized and confirmed at Our Saviors Lutheran Church in Montevideo. He attended school in Montevideo and then at Hanson Mechanical Trade School in Fargo, ND. Reuben served his country in the United States Army Air Corp. Reuben and Ethelyn Harwick were united in marriage on December 9, 1951 at Ness Lutheran Church in Madison. They had four children. Reuben worked as a mechanic in Dawson for all his life. Reuben was a member of the VFW and the American Legion. He enjoyed gardening, reading and listening to polka music. He was a member of Grace Lutheran Church and served as an usher. He is survived by his wife, Ethelyn; children: Curtis (Sharon), Dawson, Conrad (Linda), Topeka, KS, Calvin (Julie), Chester, VA, Carol (Al) Quintana, Glendale, AZ; 13 grandchildren, and 17 great-grandchildren as well as extended family and friends. He was preceded in death by his parents, parents-in-law, four brothers: Melvin, Marvin, David and Thomas; and a sister, Alice Goulson.